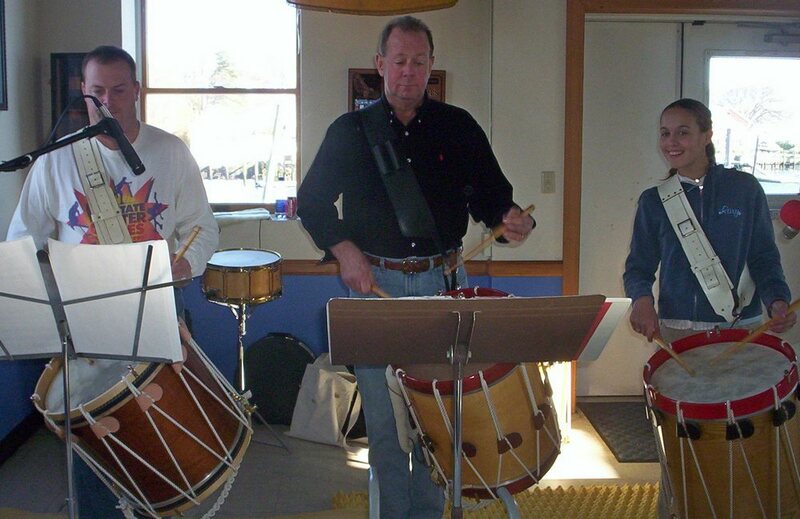 On Sunday, May 22, 2005 the Pawtuxet Rangers Militia Company and Fife & Drum Corps unveiled its new fife & drum CD and put it on sale to the public. The event took place at their historic Armory on Remington Street, located across from Pawtuxet Park. The Pawtuxet Rangers are an historic colonial militia company headquartered in Warwick, Rhode Island. They are a colonial re-enactment unit consisting of an artillery company, militia unit and a fife & drum corps. Originally chartered in 1774 to protect the village of Pawtuxet, the company soon expanded to manning the fort on Pawtuxet Neck and protecting 400 miles of Rhode Island coastline from incursions by the Royal Navy. Members of the Pawtuxet Rangers served in many military actions, including the Battle of Rhode Island, the Battle of Saratoga, the Siege of Boston and surrender at Yorktown. The company also served in the war of 1812. Today, the Pawtuxet Rangers take part in many modern day functions as well as re-enactments of 18th century activities such as encampments, battle re-enactments, musters and parades. Dressed in their colonial red coats, they are always a crowd favorite. In addition to these activities the Rangers visits schools to set up encampments, speak before classes, participate in community activities, represent the State of Rhode Island in ceremonial functions and serve in many capacities to keep the history of colonial America alive in the present day. 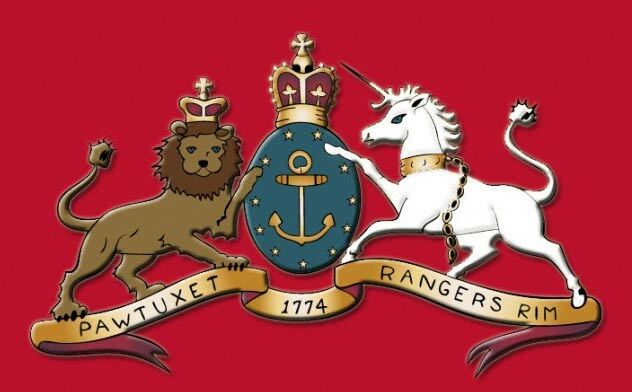 The CD released on May 22, 2005 will assist the Rangers with much needed fundraising as well as provide the public with a living musical legacy of the 18th century. The CD contains tracks of colonial music, 18th century standards, traditional British music and other tunes commonly heard during the period. It will be a piece of living history that can be enjoyed over and over. 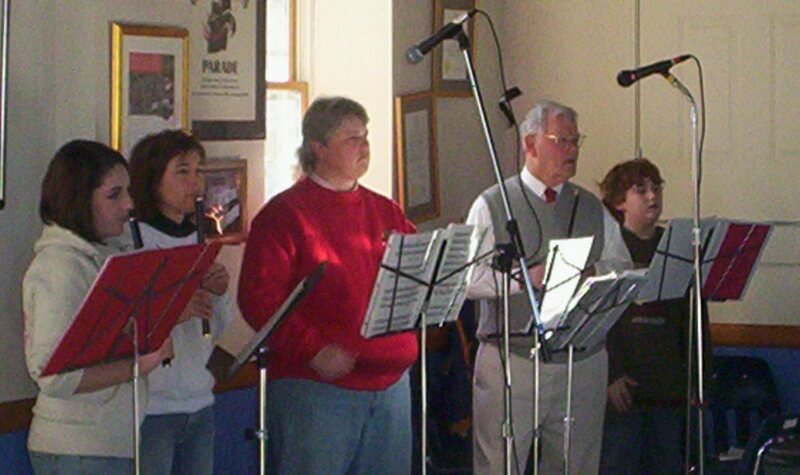 Proceeds from CD sales will also assist in support of the group, purchase of instruments, uniforms and travel expenses. “Groups like the Pawtuxet Rangers are priceless,” according to Warwick Mayor Scott Avedisian. “You cannot put a price on keeping history alive for our schoolchildren and all citizens. Groups like this remind us of the sacrifices made by regular people to win the freedom we now enjoy. The original Pawtuxet Rangers were farmers and shopkeepers, teachers and tradesmen. Today’s Rangers are the same regular people dedicated to preserving a piece of what makes American what it is, our unique history.” To purchase a CD, click HERE to send an email or see them at one of their scheduled events. CDs are a $15 donation plus shipping.